Do you struggle to cut up your beautiful patterned papers that you have been storing? Would you love to showcase your stunning papers but never know where to start? If so, you’ll love this project. The main construction uses patterned papers to their full allowing you to both enjoy the beautiful papers as well as showing off your hard earned skills. In this ‘Super Cute 6 x 6 Mini’ the main feature is the double sided patterned papers and only card stock used for photo mats. Do you have double sided patterned papers that you just can’t bear to cut up? 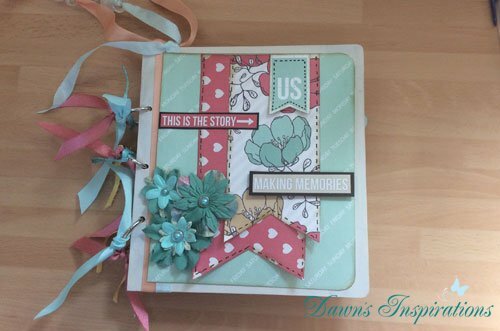 If so, this mini album is perfect for you as it shows off your stunning papers in an album that is both functional and practical as well. 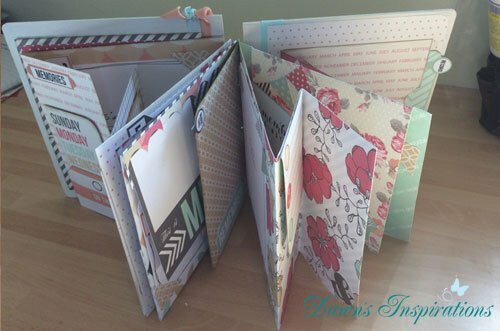 This can be achieved with so many double sided patterned papers to give each album its own individual feel. Don’t forget – You DO NOT need the exact same design of papers as me – ANY Double sided 12 x 12 Patterned Paper that you love can be used along with some sheets of project styled elements which you will likely have in your Crafty Stash. So, gather your supplies, sit down and craft along with me and let your creative juices flow! I think it is a really great idea, even if we cannot get the same paper pack as you are using least we can organize as to what we want or need to get. Can’t wait to start this workshop. 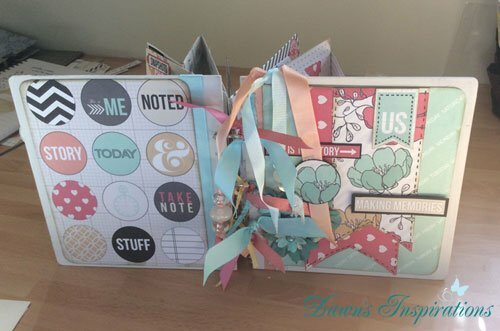 Paper collection ( 6 sheets of 12×12 papers, 3 x sheets of project life style elements and 2 x sticker sheets) I used Teresa Collins Daily Stories paper Collection Pack. Ink pad to match your papers to ink edges. Absolutely love your projects. They are fun to do and fab to have! Thanks, Dawn, for great projects and fantastically clear videos. Will have to have all your online workshops I think; they really are brilliant. Love the look of this, when does workshop start and what are the fees? The Online Workshop is Live now! So all you need to do is purchase the workshop and craft atom with me. The cost is £7.50 if you are purchasing from else where in the world PayPal will convert your payment on your PayPal account.